We were at Disneyland yesterday (3/27) and we always stop by the Jazz Kitchen (Express) where you can get the best beignets (“ben yeahs”) in So. Cal. The deep fried French doughnut without the hole are square, cooked right in front of you and placed in a paper sack with about a cup of confectioners sugar. Sorry, I didn’t get a photo of the delicious treat because my hands were already sticky sweet and it was impossible to snap a picture. You take the bag outside and shake well to fully cover the beignets with the powered sugar. You can see from the mess we made on top of the lower right table with the leftover sugar. Unlike here, the coffee was good but cold. The “Express” is for a quick takeout while you’re at the park and don’t want to spend too much time eating lunch or dinner. 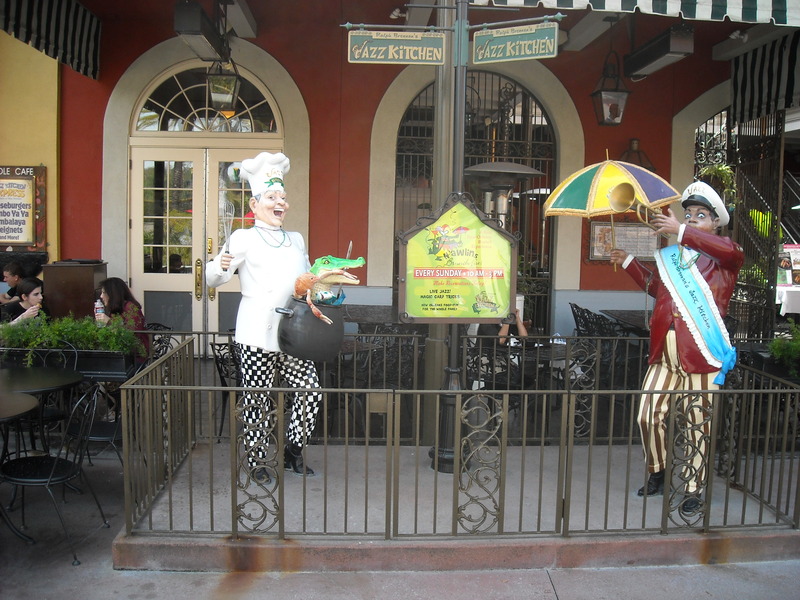 The have gumbo, po-boys and a few other goodies you would find in the New Orleans area. 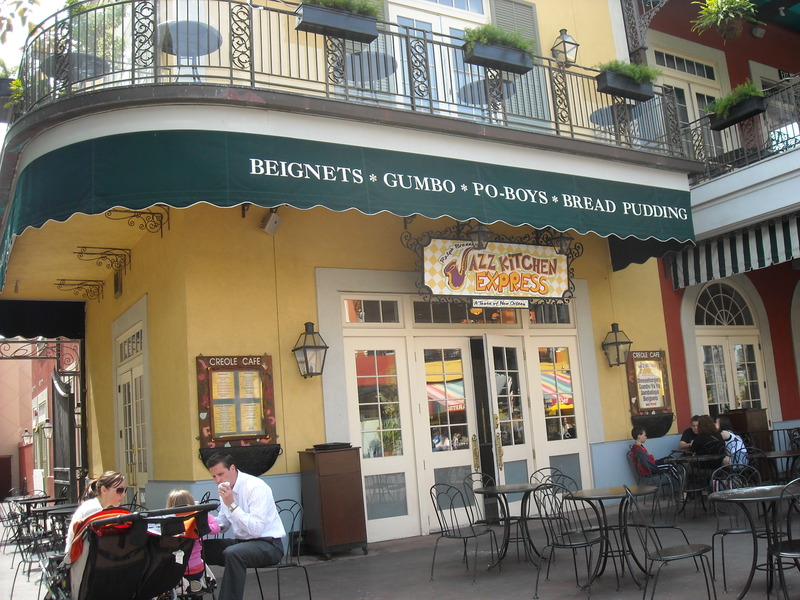 I highly recommend the beignets and we make a special downtown trip to get our fix. Plus, if you have an Annual Disneyland Passport, you get a discount here. So remember to show your ticket to the cashier before you pay. Now if you’re in the Disneyland Park, the best way to get there is to take the Monorail from Tomorrow Land and get off the next exit. Hang a left the Jazz Kitchen is about a block’s walk away. Otherwise, you need to exit the main entrance for an even longer walk.